A-HOTEL.com - Luxury and cheap accommodation in Ignatovo, Russia. Prices and hotel, apartment booking in Ignatovo and surrounding. This indicative offer was derived from the most recently booked accommodation in Ignatovo and sort by the price, from cheapest Ignatovo accommodation to the most expensive hotels. To select accommodation by your preferences we recommend to choose from 1 accommodation offers in Ignatovo in total. By entering the dates of your overnight stay in Ignatovo and using the filter tools you can sort the best possible accommodation for you. The entered dates of your stay are crucial for the most accurate offer as it derives all the online information on pricing and availability of Ignatovo accommodation. Then you can book the selected Ignatovo lodging (hotels, apartments etc.) immediately. Situated in Ignatovo, Sabai Inn features a garden and a bar. Boasting a 24-hour front desk, this property also provides guests with a restaurant. Featuring garden views, Guest House Kolyanovo is situated in Ivanovo, 6 km from Museum of the First Soviet. Providing free WiFi, the property also has barbecue facilities, a garden and a terrace. Featuring a shared lounge, Hotel Complex Art-Hotel is situated in Ivanovo, 5 km from Ivanovo State Philharmonic. The property is located 6 km from Museum of the First Soviet and 6 km from Ivanovo Regional Drama Theatre. Featuring free WiFi, Mini-Hotel Sozvezdie Plus is situated in Ivanovo. All rooms feature a kitchen and a shared bathroom. Cinveniently located close to M7 highway in Ivanovo, Mini-hotel Sputnik offers free private parking. Free Wi-Fi access is available. Providing free WiFi and a bar, Hostel SSSR offers rooms in Ivanovo, 3.8 km from Ivanovo State Philharmonic and 5 km from Ivanovo Regional Drama Theatre. Apartment Tashkentskaya 93 offers accommodation in Ivanovo, 3.8 km from Ivanovo State Philharmonic and 5 km from Ivanovo Regional Drama Theatre. квартира на Текстильщиков offers accommodation in Ivanovo, 7 km from Museum of the First Soviet and 7 km from Ivanovo State Philharmonic. Complimentary WiFi is offered. Set 4.1 km from Museum of the First Soviet and 4. Set in Ivanovo, Apartment on Kudryashova provides air-conditioned accommodation with a balcony and free WiFi. The property, housed in a building dating from 1985, is 5 km from Museum of the First Soviet. Set in Ivanovo, 3.9 km from Museum of the First Soviet, 3. Situated in Ivanovo, 5 km from Museum of the First Soviet and 5 km from Ivanovo State Philharmonic, Apartments on Moskovskiy 20 offers free WiFi. Guests staying at this apartment have access to a fully equipped kitchen and a balcony. Located in Ivanovo, 5 km from Museum of the First Soviet and 5 km from Ivanovo State Philharmonic, МОСКОВСКИЙ 20 provides accommodation with amenities such as free WiFi and a flat-screen TV. This apartment is 6 km from Ivanovo Regional Drama Theatre and 6 km from Museum of Manufacturing Industry and Arts. Featuring accommodation with a balcony, Московский Микрорайон is located in Ivanovo. The accommodation is 5 km from the Museum of the First Soviet. Situated 3.4 km from Museum of the First Soviet and 3. Apartments on Lezhnevskaya 122 offers accommodation in Ivanovo, 3.4 km from Museum of the First Soviet and 3. Apartment Sergey is located in Ivanovo, 5 km from Museum of the First Soviet, 5 km from Ivanovo State Philharmonic, as well as 5 km from Ivanovo Regional Drama Theatre. The property, housed in a building dating from 2014, has free WiFi and is 6 km from Museum of Manufacturing Industry and Arts and 6 km from Ivanovo Printed Cotton Museum. 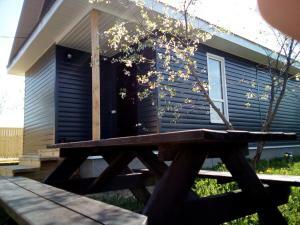 Located in Ivanovo in the Ivanovo region, Apartamenty Na Marshala Vasilevskogo 3 has a balcony. Guests staying at this apartment have access to a fully equipped kitchen. Situated in Ivanovo, 5 km from Museum of the First Soviet, 5 km from Ivanovo State Philharmonic and 5 km from Ivanovo Regional Drama Theatre, Apartments on Moskovskiy 12 features accommodation with a balcony and free WiFi. The accommodation is 6 km from the Museum of Manufacturing Industry and Arts. Featuring free WiFi throughout the property, Mini Hotel 33 offers accommodation in Ivanovo. Free private parking is available on site.